It is always with great sadness and anger when I think, read about and see our fellow native Filipinos --the native (Malay) Filipino majority actually-- who are hungry, landless and illiterate, literally existing and not living life. In this particular case, ignorance of the preconditions to the granting of our supposed national independence, a loudly proclaimed grant from our former colonial master, the United States of America. Strictly speaking, a grant is free, non-repayable to the grantor. But in this instance, the supposed political independence granted was not really a grant. 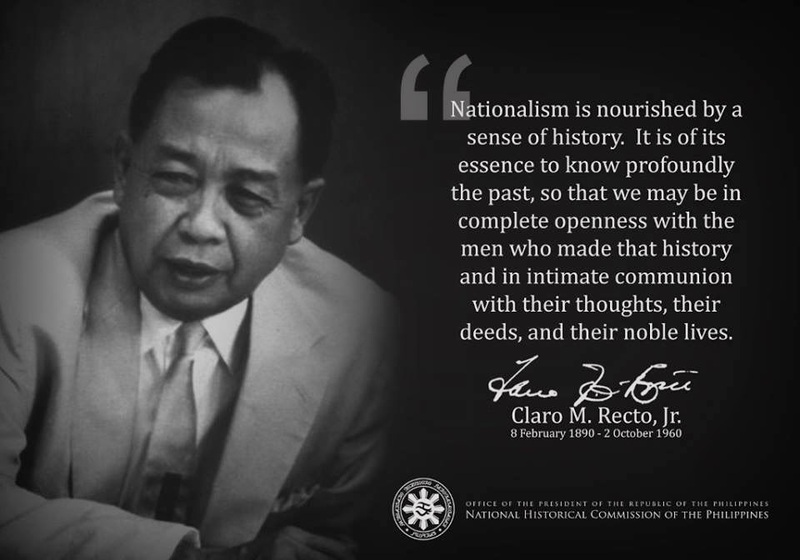 As independence came with --still very few of us native Filipinos know and understand-- the imposed preconditions (see NOTES below) then and now, in terms of its real cost to our homeland and our fellow native countrymen... yesterday, today and tomorrow and in generations yet to come. A triumvirate of native Filipino politicians who were, in retrospect, our poster-boys of traitorously adept manipulators of the common tao and greatly emulated by many of our past and present politicians (we are not seeing statesmen here) in our greatly and disgustingly decayed Filipino politics. Below essay by Mrs. Leticia R. Constantino provides a basic narrative on the history of our independence, as "granted" by the United States of America. Unfortunately for the people, their revolutionary experience and the Katipunan's emphasis on political freedom from Spanish oppression and friar despotism (valid for its time) did not equip them to understand the economic objectives of US colonialism. Their own leaders, for reasons which will become clear farther on, did little to enlighten them on this score. The advocates of colonization -- political and military leaders who wanted an empire, industrialists and businessmen who sought new markets for their products, new sources of raw materials, and new areas of investment --were more powerful. The Philippines was therefore annexed. However, American colonial policies toward the Philippines, including the various proposals to grant independence, represented a series of compromises between these two forces in American society. Since most politicians were partial to landowners (who controlled the votes of their tenants and were also important source of funds for electoral campaigns), they did not object to the US policy of free trade which stimulated such export crops such as sugar, copra and hemp. As we shall see later, the fact that independence could end the duty-free entry of these crops into the American market was a constant preoccupation of our national leasers. In the end, it was not the agitation of Filipino leaders that produced the "grant" of independence but pressure from powerful sectors in the United States. By 1931, the U.S. was in the throes of a severe depression which had started dramatically with the stock market crash of October 1929. Farm wages were the lowest in 30 years and farm sales had gone down 50%. "...a freedom which is only nominal, a freedom rendered unholy by mercenary motives, a freedom incarcerated on land and on sea by the powerful navies of a foreign power, in a territory which has been parceled out to alien hands their share in the most unequal transaction and the most ignominious surrender."